You’ve probably heard the term millennial used before to describe the generation of young adults born between 1980 and 1999. There are a staggering 80 million of these young adults living in the United States alone. There’s an awful lot of discussion around the millennial generation. Some call them entitled while others call them innovative. What we are not hearing a lot about, is their philanthropic efforts. Millennials may not have as much disposable income as those of the generations above them, but it certainly is not hindering their giving. 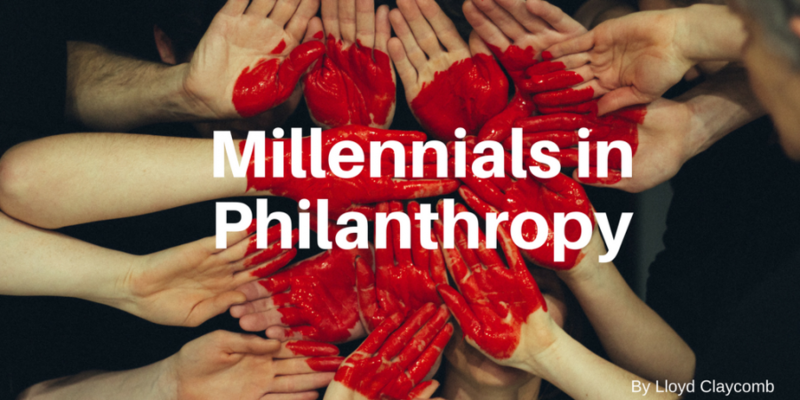 An astounding 84 percent of millennials donated to charity in 2014 alone. That’s a lot of giving. Those donations also averaged to about $481 per person. These young adults are making a huge difference in shaping philanthropy. Young adults are not just giving money, they are volunteering their time too. It’s estimated that over 70 percent of millennials are volunteering in some capacity. They don’t just volunteer at the first place they can find either. Most millennials look for areas that they can use their skills to maximize their time and do the most good. It’s probably not much of a surprise, but millennials are heavily influenced by their peers and social media. Remember the ALS ice bucket challenge? It was a viral social media campaign that caused an enormous influx of donations to the ALS Association. This was only one campaign, but social media shed light on the cause and millennials stepped up to the plate with their smartphones and their wallets. Lastly, millennials are often issue based donors. They donate their time and money to causes they feel strongly about. Largely, these causes are social issues or things pertaining to children. Millennials also do their homework when it comes to their donations. They want to know how the money is going to be used before they are ready to give. They understand it’s not enough to simply give, you need to be giving to causes you believe in. Millennials are the largest living generation to date. By 2020, they will make up 50 percent of the workforce and be a third of the adults living in the US. These numbers are huge and so is the impact they have. As they come into more money and settle into careers, we are going to see their efforts make even more of a wave than we already are.